Chacras de Coria, Mendoza, Argentina. 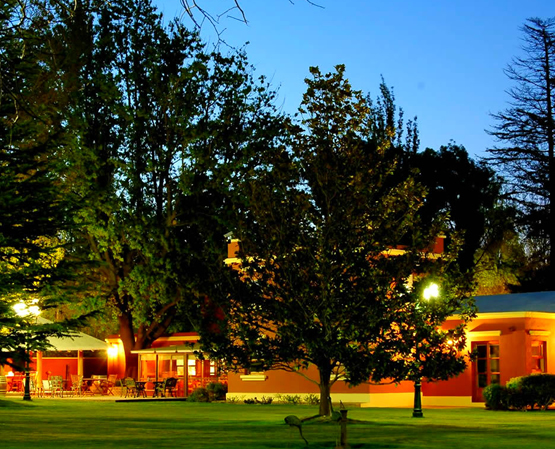 Robles de Besares is a charming country inn run by its owners, located in one of the most peaceful and charming places of Mendoza, Chacras de Coria. Your hosts will take care of providing the best service in a warm and familiar environment, with the responsibility to take care of all your needs. A place to dream... A beautiful house turned into an ideal refugee for those who want to discover an enchanting destination. 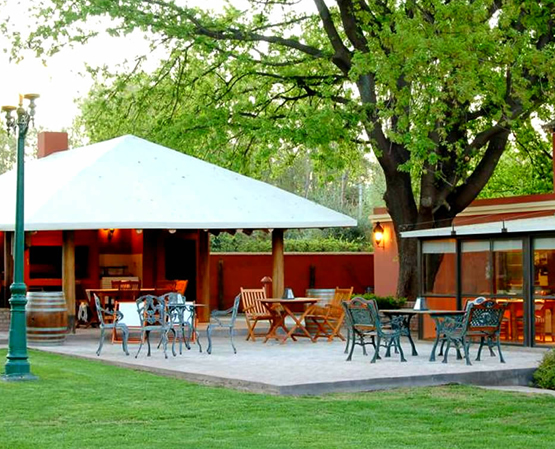 In the 10.000 square meter's yard of La Posada you can enjoy the peace that Chacras de Coria offers with its incomparable beauty. We will be pleased to fill your expectations and desires to rest in a unique placed located in Chacras de Coria's heart. Our privacy and hospitality makes the difference. Inside this cozy country inn you will find all the services for relaxation: heated swimming-pool, tennis court, gym and spa with dressing rooms. Robles de Besares is a smoke-free place where smoking is allowed only in open spaces. Robles offers its guests a distinguished cellar of still and sparkling wines, which they may taste at the hotel’s deck, under the soft shade of oaks, and paired with a diversity of regional delicatessen. In the 10,000 square meter yard of Posada Robles de Besares you can enjoy the peace that this remote Mexican region offers with its unparalleled beauty. Tennis: Concrete illuminated tennis court, free for our visitors. Gym: We count with all the necessary equipment for yoy physical activities inside the Posada. Relax: A warmjacuzzi for 4 people with lawn chairs and full dressing rooms. Swimming pool: Outdoor pool, 20 meter diameter and 1 to 1.90 meters deep. Breakfast: You can have breakfast inside our you can enjoy the landscape and nature enjoying breakfast in our garden. Wine cellar: Choose one of the best wines or sparkling wines. Lounge: To enjoy a quiet and relaxing moment reading a good book. Reiki: Disfrute de esta terapia oriental desarrollada para lograr un equilibrio de energías en su interior. Parking: The inn has a semi-covered parking. Trekking: Trekking and climbing offer you the adrenalin of these extreme sports..
Wine tours: Join our guided visits to vineyards and wineries of Mendoza..
Horseback riding: There is nothing like a mountain horseback ride to relax and enjoy nature..
High mountain and Sky: Enjoy the snow and winter sports. Rafting: Take adventage off all that Mendoza and its rivers have to offer. Winery tours: Visit with us the main wineries of Mendoza and taste the best wines of the world. This boutique hotel has five luxury rooms, all of them with private bathrooms and the most comfortable facilities. All the rooms are double except the apartment where two more people can be accommodated. 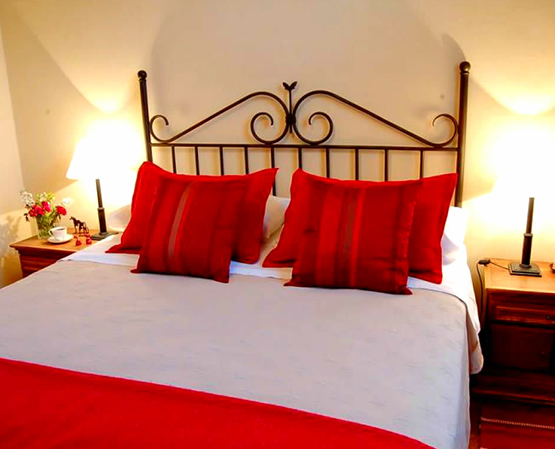 The rooms have all the warmth and comfort that you and your family could need to enjoy a relaxed and pleasant stay. 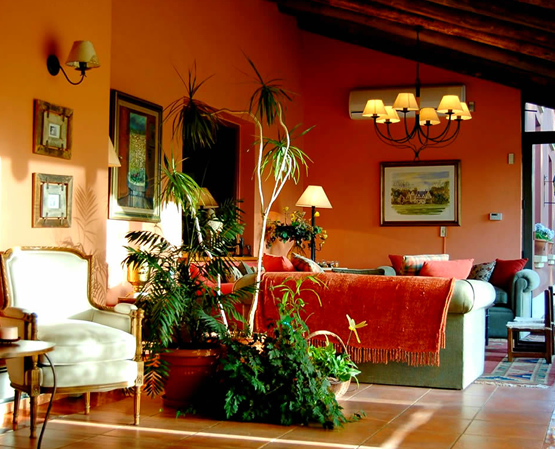 The country inn is quite exclusive, with only 5 rooms, which ensures a very friendly, personal attention, decorated in a tasteful earth tones they are fully adaptable to the requirements of the guests. With French windows overlooking the garden, are equipped with double mattresses of 1.80 x 2 meters individual beds and double mattresses, wireless Internet, air conditioning, central heating, safe, cable TV, NDD and IDD telephone, bathtub in classic and Jacuzzi in the special, hairdryer and amenities. 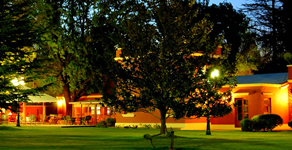 The hotel is located in the town of Chacras de Coria, city head to visit the Wine Roads of Lujan de Cuyo / Maipú. Robles de Besares has an exclusive wine cellar where guests can sample some of the best wines of Mendoza accompanied by a fine selection of cheeses and regional delicatessen. The staff of the inn can arrange also wine tours to nearby wineries. 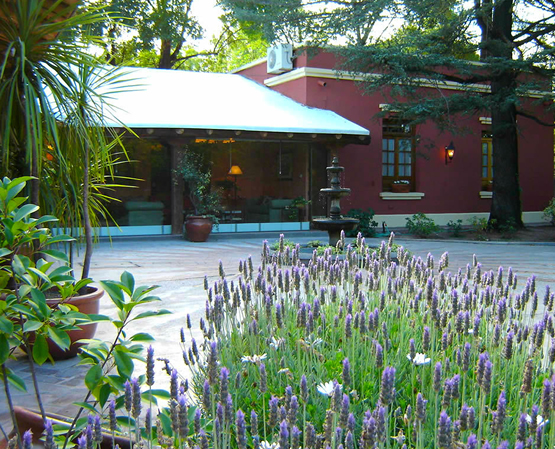 Posada Robles de Besares is situated in Chacras de Coria, just 11 kilometers from the city of Mendoza. This area is characterized by its gastronomic offer and two well-known places; Caminos del Vino and Cordón del Plata.